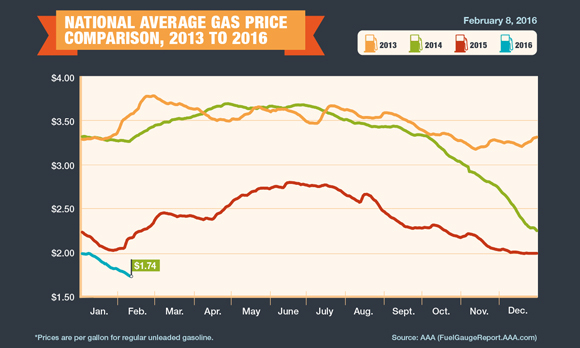 As this graph from the American Automobile Association (AAA) shows, the U.S. average price for a gallon of gasoline has fallen dramatically since the second half of 2014. As of February 8 of this year consumers were paying an average of $1.74 per gallon of gasoline, representing a 44-cent year-on-year decline, according to AAA. Barring any significant supply disruptions, AAA expects the low-price trend to continue for the near term. Industries such as manufacturing, agriculture and transportation also benefit from low fuel prices, said David Holt, president of the Consumer Energy Alliance (CEA), which counts representatives of those sectors among its membership. “Reducing the cost of energy for those sectors of the economy helps their bottom line,” he said. In the old model of city life, most people only had one choice for utility providers in Michigan. Whether it was the phone company or the electricity provider, one company had a monopoly. While this removed the requirement to research different providers, it also meant that there was little room for individual choice. If your local utility company offered poor service or high prices, there was little that could be done about it.